Cariloha’s Resort sheets, duvets and pillowcases are made of eco-friendly viscose from bamboo and are part of Cariloha’s bamboo bedding line. 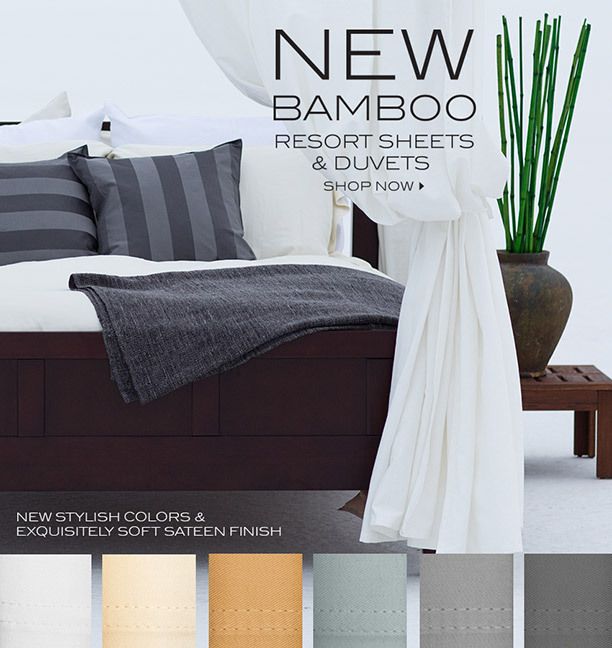 SALT LAKE CITY – Bamboo bedding and bath goods retailer, Cariloha, this week launched its Resort Collection, including sheets, pillowcases and duvets, which are made from eco-friendly bamboo-fabric blends and designed by Cariloha’s product and design team. Available exclusively at Cariloha stores and on Cariloha.com, the new bamboo Resort Collection not only expands Cariloha’s bedding line, but also provides customers with several bedding options that complement their natural-luxury lifestyle. Cariloha’s Resort Collection will be offered in addition to its Classic Collection and will feature the following eight modern sheet and duvet colors: White, Ivory, Island Spa, Hawaiian Sand, Caribbean Mint, Shoreline Gray, Blue Lagoon, and Graphite. •	Made from luxurious 320 thread count Cariloha Bamboo Sateen. •	Cariloha’s renowned sheet softness is enhanced by a sateen finish that provides an exquisitely soft, smooth feel. It’s the ultimate in comfort and will become an everyday indulgence of true natural luxury. •	Subtle-sheen look and elegant draping make for a timeless, perfected sheet set. •	Advanced box-stitch seam construction for added durability on corners of fitted sheet. •	Made with meticulous care, being sensitive to every detail, these sheets can be laundered regularly and continued use will only make them softer and more comfortable. •	Exclusive, yet subtle Cariloha woven branding labels are featured on the top corner of the flat sheet, and on the vertical seam of the fitted sheet. •	Fitted sheets also feature a tonal Cariloha print on the side of the fitted sheet, further highlighting and branding Cariloha. •	Sheet set includes 1 flat sheet, 1 fitted sheet and 2 pillowcases. • Fitted sheet fits mattresses up to 18” deep. •	The fabric content of the Resort bed sheets, duvets and pillowcases is 100% viscose from bamboo. •	Retail price range: $239 (queen sheets) – $259 (king sheets), $49 (king pillowcases) – $44 (standard pillowcases), and $239 (king duvets) – $219 (queen duvets). •	Exclusive, yet subtle Cariloha woven branding labels on the bottom corner seam of the duvet. •	Features hidden wooden button closure. •	Duvet set includes 1 duvet and 2 pillow shams. •	Shams have 2” mitered flanges and a French-flap closure. •	Resort Collection sheets, duvets and pillowcases are carefully packaged in silk-screened, stylized boxes with Cariloha’s signature-branded colors. •	Box framework not only protects the Resort Collection, but also gives a refined feeling of prestige and prominence that’s all their own. •	Self-fabric casing also envelopes the sheets and provides a secure, first-rate feel, along with functionality and long- term storage benefits. 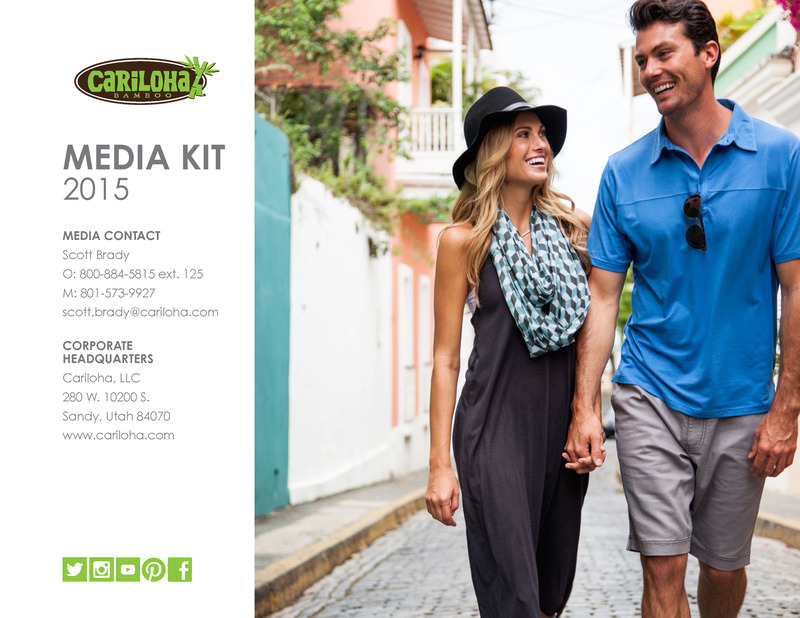 Cariloha’s Resort Collection comes with a 90-day quality guarantee. If the sheets, duvets or pillowcases don’t live up to the customers’ expectations, Cariloha will replace them without reservation. All items are machine washable and tumble dried low, so maintenance is easy and worry-free. They get even softer after washing.